The first time I guest posted on Time Eternal last October, I explored the problem of impatience and its connection to the Fall. I noted that impatience amounts to a disordered relationship to time—a belief that we should decide when to receive God’s gifts, rather than waiting for His appointed moment. As we approach the Lord’s Nativity I want to continue this reflection by turning to the question of how our relationship to time can grow closer to God’s design here in our present world. 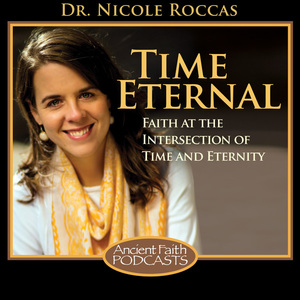 To do so, I will explore a simple tool from our Tradition by which Christians have, for centuries, been reordering their connection to time and making it something more beautiful. This is the tool of daily psalmody as described by St. Benedict of Nursia. In his beautiful monastic rule, St. Benedict lays out the path that monks and nuns must follow in order to learn obedience, and thus humility. The goal is simple: to set aside the human will and obey God’s Will alone. For St. Benedict, the beginning of monastic life centers on an awareness of what we are called to do in time. When the time comes to act, the time also comes to pray. Obedience must be practiced every instant. It is high time for us to arise from sleep. We must hear the Lord’s voice today, and today we must open our hearts. St Benedict himself sums it all up beautifully. “If we wish to reach eternal life…then—while there is still time, while we are in this body and have time to accomplish all these things…we must run and do now what will profit us forever” (Pr. 43). To order our relationship to time correctly is both the beginning and the goal of St. Benedict’s way. As a result, much of his Rule is designed to help us to make time an ally in the spiritual struggle. There are many regulations in the Rule that are indeed tangential to this work: rules for entry to a community, for discipline, or for the various jobs in a monastery. Yet the most essential portion of the Rule takes on the problem of time quite directly. This, the heart of the rule, is the establishment of daily psalmody. St Benedict’s way is to sing psalms seven times a day, roughly every three hours, including in the dark of night. The arrangement of these psalms ebbs and flows throughout the year. What remains the same, however, is the punctuation of each and every day with psalmody at prescribed intervals. Above all else, the monk or nun (or, indeed, the lay person following the Rule) must be obedient to the rhythm of the psalms within time. It is no accident that the psalms specifically are at the center of this rhythm. They, more than any other prayers, have a profound effect on our relationship to finite existence. They are honest in their expression of loss and alienation, forward about our frustrations with God and His ways, comforting in their reminders of His peace, and forever hopeful about the coming of His Kingdom. In a world where we wrangle at every turn with limitation, pride, and impatience, to fill each day with these honest reminders begins to change our connection to time profoundly. Yet, the importance of psalmody for shaping our relationship to time is perhaps most clear in the breach. The struggle of saying the psalms as St Benedict teaches is that in spite of all the good they do, they lack the addictive pull of necessity to remind us to say them. It is a vexing irony. Though sitting in front of the television, for instance, generally makes one feel lethargic and vacant, nonetheless our favorite shows drag us to the screen, even though we know they are doing us little good. We have myriad similar addictions in life, from the subtle to the extreme—things that have power while doing us harm or at least not providing much benefit. The psalms, conversely, refresh us and lighten our burden, and yet they refuse to impose themselves. It is, I think, a testimony of our freedom in God’s eyes. What is truly good for us, He refuses to force upon us. Yet this means that however long we have been doing them, it always seems that our prayers are the last priority in our lives. 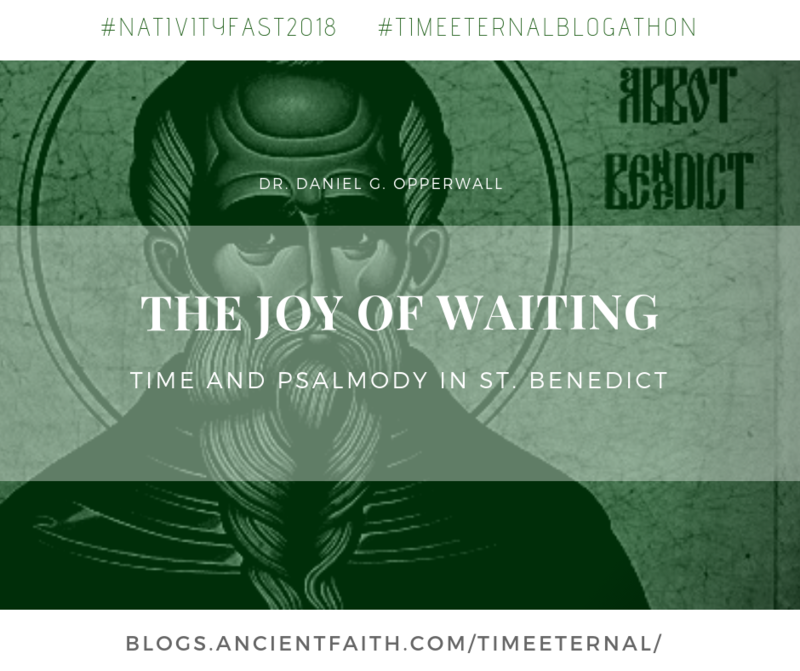 That is, I think, why St. Benedict makes so much of obedience to the intervals of time in psalmody. To set aside certain times for the psalms creates a habit of saying them, even while the psalms still lack any addictive power. In place of a surge of dopamine, we set the rhythm of the day. In place of the push of withdrawal, we set the turning of the seasons and feasts. In place of dependency, we set time as a reminder of what is good. In doing so, we force ourselves to stand still like that tree next to silent waters, waiting (rather than rushing) to bear fully the fruit of humility. And thus, above all, in the rhythm of psalmody we learn to actually love this waiting; it becomes a joy, not a burden, when it is ornamented by our voices lifted in ancient prayer. To fall in love with the waiting is the birth of patience—the recognition of time as an ally and old friend, a creature of God beloved for the gifts it gives, embraced for its ability to bring us freely to do what is good for us. Time, when we obey it, becomes the very thing that pushes us into the deepest beauty that we can know. It is a task master, indeed, but it is now one of the greatest depth of wisdom—an ally and a companion. In St. Benedict’s vision, then, we get a taste of what the ordering of time is really meant to be. Rather than something blocking us from obtaining our goals (however noble), time becomes that which reminds us to embrace Christ’s presence as we await God’s gifts. Whether we strive to say the hours according to the Rule, or to follow another rhythm of prayer and psalmody in our lives, St Benedict’s wisdom is well worth remembering as we seek to transform time into something that brings us to “do now what will profit us forever,” songs of Zion ringing in our ears along the way, sung to the eison of time itself when we have learned to obey it. 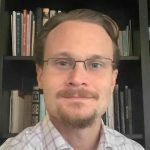 Dr. Daniel G. Opperwall teaches patristics and Church history at the Orthodox School of Theology at Trinity College, Toronto. He is the author of two books: A Layman in the Desert: Monastic Wisdom for a Life in the World available from SVS Press, and We Pray, a children’s book available from Ancient Faith Publishing.